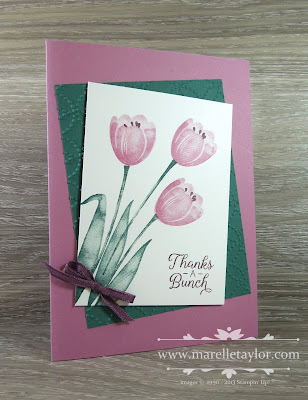 There are some beautiful sets in the Stampin' Rewards section of the Catalogue (page 220-223), but I think my favourite would have to be the Tranquil Tulips stamp set. 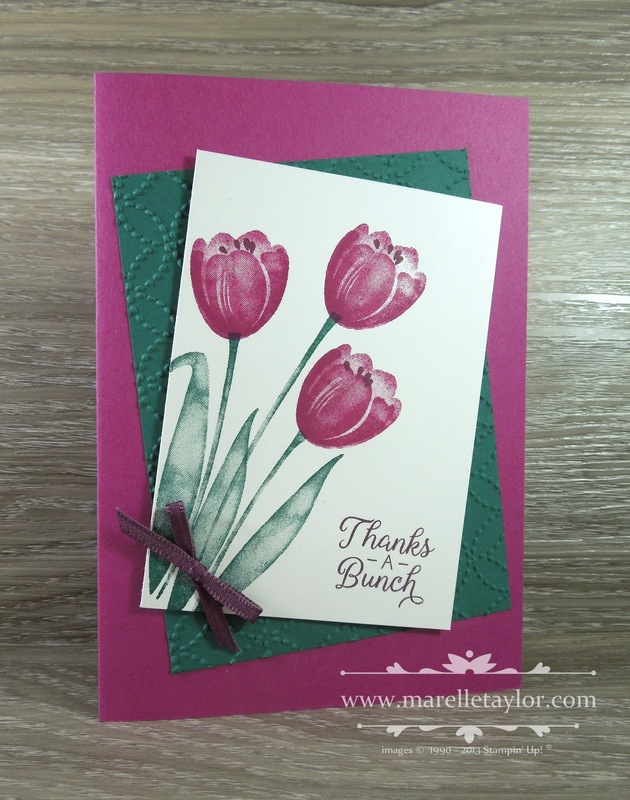 I made a bunch of these customer thank you cards in a few different colours, but these 2 were my favourites - Berry Burst and Sweet Sugarplum. It's a 2-step stamp set, which gives the flowers lots of dimension. I've angled my layers and used the new Quilt Top embossing folder on the Tranquil Tide cardstock. Fresh Fig narrow ribbon is the perfect embellishment (I've attached it with a glue dot).